Your one-stop shop for Accident Reconstruction, brake design, and safety; providing the tools, knowledge, and capability to produce quality accident reconstruction services. © 2016 PC-BRAKE, Inc. All Rights Reserved. Neither PC-Brake, Inc. nor the authors of these programs are liable or responsible to the user for loss or damage caused or alleged to be caused, directly or indirectly, by the software and any referenced attendant documentation, including (but not limited to) interruption of service, loss of business, or anticipated profit. The software programs were developed to aid readers of “Brake Design and Safety” and “Motor Vehicle Accident Reconstruction and Cause Analysis” with the mathematical analysis of engineering concepts. By downloading any PC-BRAKE, Inc. software program(s) the user automatically agrees to these Conditions of Use. In the mid-70s as director of the NHTSA-Utah MDAI team while writing the first edition of the “Motor Vehicle Accident Reconstruction and Cause Analysis” book published in 1978, it was Dr. Limpert’s hope to develop accident reconstruction software paralleling the crash physics discussed in the book. Consequently, LARM2 software was published in 1994, followed by AAA in 1996. LARM2, sold by SAE International for many years, addressed basic collisions such as inline-, sideswipe- and oblique collisions, AAA accident avoidance analysis. Both programs were DOS operated. We introduced our windows-operated user-friendly sectionalized MARC1 software in 2005 addressing the entire spectrum of traffic accident reconstruction with 26 major modules. MARC1 was developed to parallel new editions of Dr. Limpert’s book in its 7th edition by 2012. 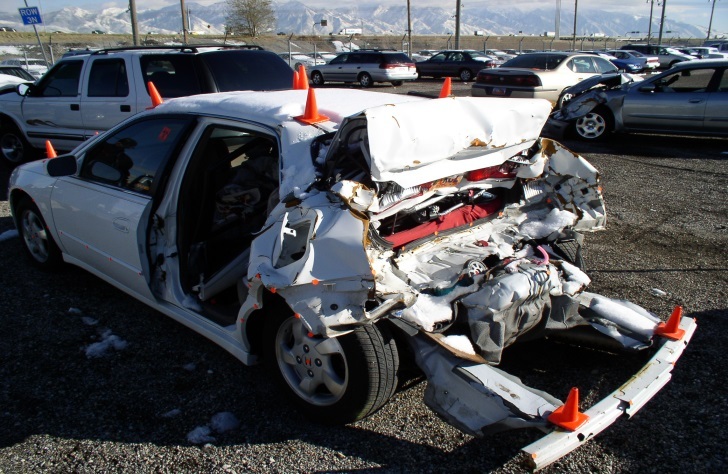 Crashes including low-speed collisions can be reconstructed and checked against “crash-tests-on-paper” with different coefficient of restitutions, A and B-stiffness coefficients, etc. 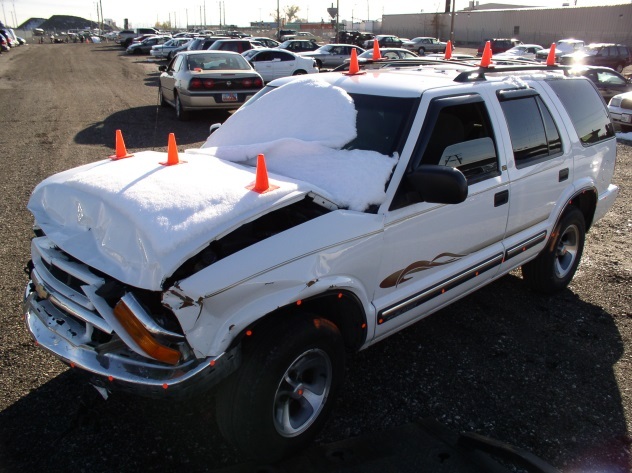 Vehicle components such as suspensions, braking, and others can be evaluated in loss-of-control crashes or rollovers. Impulses analyses are applied to different specific crashes including rollovers. 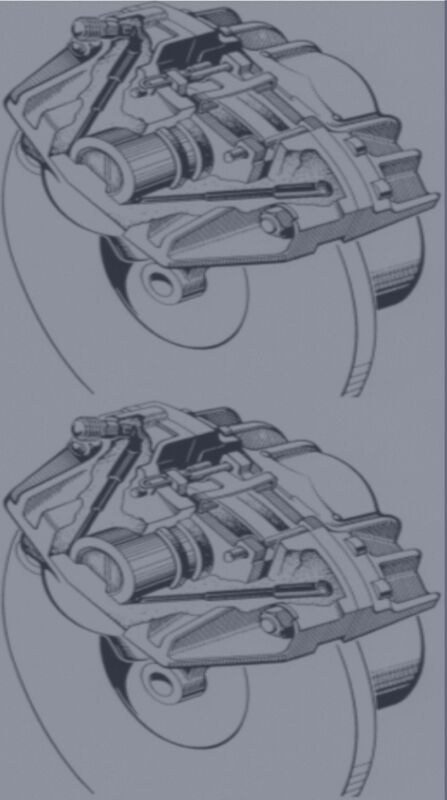 Brake designs, lockup sequence and components defects can be evaluated easily. The following MARC1-2015 modules apply to this rear-end crash: Z- Configuartion; X9 -Crush energy; X2-Speed calculations; W2 and X8 - Crash-tests-on-paper (check calculation accuracy); E4 & E6-Post crash drag factors; O4 – Centerof-gravity height; A3 - Pre-crash speed analysis. The introductory new MARC1-2015 cost is $795.00. There's a money-back guarantee for one year from date of purchase. You can pay with paypal on our website www.pcbrakeinc.com or by check. Contact Dr. Limpert at 801-201-2532 or prosourc@xmission.com for more information. You will receive a flash drive with two MARC1-2015 downloads and ARC download. If interested in an expenses-only-paid MARC1-2015 seminar, contact Dr. Limpert.